I Stand In Awe is a new single release by OLAYINKA which is an in depth expression of Gods love and grace in her life. This simple ballad music will surely spur you to worship the Father. She started singing as a choir member under Dr Kunle Pinmiloye "Ksticks"... She is currently the choir leader of The Conquerors Assembly "Highpraisers" Lagos. She is a dynamic praise and worship leader and her music dexterity has mentored and tutored many aspiring praise leaders in this regard. Her debut album is expected to be released before the end of this year. The song is produced by Music Maestro “Dre Production" for Dawkins Audio Place. Mark's visit to Nigeria is mainly to improve on how Facebook can be more useful to Nigerians. The California based guy on his visit to Nigeria yesterday, first stopped at Co-Creation Hub (CcHub) in Yaba, Lagos. Where he meet with kids at the 'Summer of Code Camp' CcHub is a place known as the Silicon Valley of Nigeria where people can learn how to code, and developers also get help launching their first products and finding mentors as well as funds to power their project. After there, he met with some creative Nigerian developers like Temi Giwa, who runs a platform called Life Bank that makes blood available when and where it is in need across Nigeria. Life Bank is a life saver platform that mobilize blood donations, take proper inventory of all blood available in the country and deliver them in the right place where it is needed. "This is my first trip to sub-Saharan Africa. I'll be meeting with developers and entrepreneurs, and learning about the startup ecosystem in Nigeria. The energy here is amazing and I'm excited to learn as much as I can. The first place I got to visit was the Co-creation Hub Nigeria (CcHUB) in Yaba. I got to talk to kids at a summer coding camp and entrepreneurs who come to CcHub to build and launch their apps. I'm looking forward to meeting more people in Nigeria." 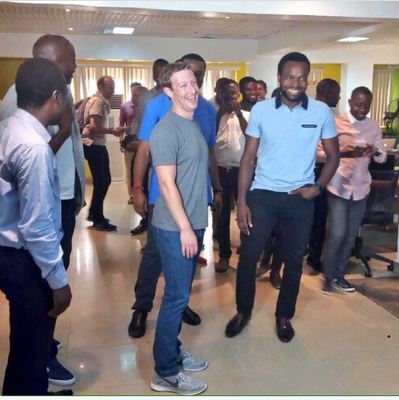 So Why Did Mark Zuckerberg Visit Nigeria? Zuckerberg is in Nigeria to listen, learn and take ideas back to California on how Facebook can better support tech development and entrepreneurship across Africa. He moved on to visit Andela, an engineering organization that is building the next generation of technical leaders in Africa. Earlier this year, the Chan-Zuckerberg Initiative invested in Andela after being impressed by the company's innovative model of learning and its drive to connect the global technology ecosystem with the most talented developers in Africa.
" We are excited and honored to welcome Mark Zuckerberg to Lagos. His visit reinforces not only his support of Andela's mission, but his belief that indeed the next generation of great technology leaders will come out of Lagos, Nigeria and cities across Africa. Andela has created a platform for passionate, driven software developers and engineers to break into the global tech ecosystem, but the barriers to entry are still very high. Mark's visit demonstrates to all Nigerian developers and entrepreneurs that they've caught the attention of the tech world, and they are capable of succeeding on a truly global level." 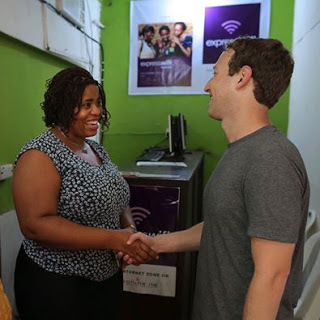 Lastly, Mark Zuckerberg stopped by an Express WiFi stand in Lagos owned by Rosemary Njoku. Facebook's Express WiFi lets entrepreneurs like Rosemary set up a hot spot to help their community access apps and services built by local developers. Mark was excited to see something of that kind excel in Nigeria. The social networking platform (Facebook) has announced it will be launching a satelite into space to enable more entrepreneurs sell Express Wifi across Africa this week. Can't really wait to see that happen soon. 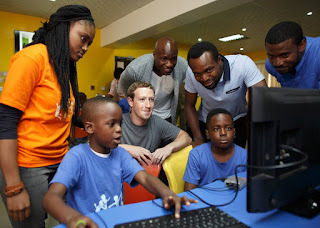 Meanwhile, Mark's visit in Nigeria is kind of a motivation to some of us tech lovers because it makes us believe that our creative ideas can now be more appreciated and supported outside the country by these tech inclined powerful young people and companies who understand the significant of technology in the world today. 7 Sure Tips That will Help You Find Out Your Real Customers and Their Needs. Establishing a business nowadays can be very challenging because of the many internal and external factors that the business has to contend with for it to survive. The first rule of thumb that you are supposed to put in place is to set up structures in your business. In setting up structures, it is very important to sign up to a Customer Relationship Management (CRM) Software. A good CRM Software will help you effectively manage you customers and you will be able to know them and their needs as well. You can visit an online software store to source for a CRM software that suits your business needs. You can as well review the Zoho®, Insightly® and Agile® software. There are opportunities that present itself every day that you can leverage on to get to know your customers a lot better. Much more than discussing business with your clients, when you interface with them, create a room to pose questions at them that will help you to know them better. Please note that some customers mightn’t like it when you ask them questions beyond what they came for. This is why you must apply tact when dealing with your customers. One of the best approaches that you can employ, if you want to know your customers and also to know their needs, is to endeavor to create an enabling business environment where your customers can be free to express themselves. Businesses that are successful and have loads of loyal customers are businesses that don’t toy with feedbacks. Dissatisfied customers can walk out on your business without notice once they realize that you don’t have an effective feedback mechanism in place. Another approach you can adopt if you want to know your customers and their needs well is to create promos and programs that will help you celebrate them. When designing any promo or program for your customers, ensure that you put things in place that help you with discovering who they are and their expectations of your business. For example; you can be direct by asking your customers to write about themselves and their expectations from your products. If the prizes are very attractive, then you can be sure to have loads of entries. When any of your customers invite you for a special family function, if you are chanced, ensure that you go out of your way to honor such an invitation. This could be a wedding ceremony, a funeral, a convocation ceremony or it could also be christening ceremony, and what have you. Indeed, when you attend any of these type of functions, you can be sure to be held in high esteem. As a matter of fact, this is a way of building relationship with your customers. When you are in a good relationship with your customers, it makes it much easier to get to know them and also to know their needs and how you can improve on your brand. What most successful business brands do when making plans to develop new products or improve on their existing products is by directly or indirectly engage their customers in the process. That is perhaps one direct way of knowing your customer’s needs. So, if you want to know your customers and what they need, then you should get them involved whenever you want to develop new products or improve on your existing products. Getting them involved in the process doesn’t necessarily mean that you should invite them to attend strategic meetings et al. It only means that you can get your customers involved via surveys, administering questionnaires and engaging them directly (phone calls et al). Most people will feel greatly honored when they are invited by the MD or CEO of a company to attend a special family event. This is one approach that will enable you strengthen the relationship you have with your customers. In the business terrain, relationship is everything- that is why most business people do all that is within their powers to win relationships and also to service relationships. Of course, you are not expected to invite the whole of your customers to attend your special family functions, but you can identify a few of them that you know who are influential and then get them invited. Finally, do have at the back of your mind that if you can abide by the tips discussed above, then you will get to know your customers and their needs. And one of the best ways to know what brand serves for who in the society is by being close to the needs of your customers. 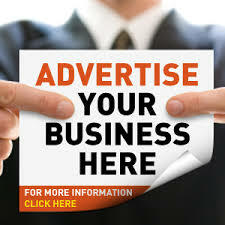 More than 30 Fresh Vacancies Opened At Nigeria Railway Corporation. Following the recent commissioning of the Abuja to Kaduna Standard Gauge Rail Service by the President of the Federal Republic of Nigeria, the Nigerian Railway Corporation (NRC) wishes to recruit both junior and senior staff to meet the new operational requirements. HND OR UNIVERSITY DEGREE IN RELEVANT FIELDS. Application Deadline: 18th September, 2016. Applicants are to submit written applications and CV's only which should include their valid contact telephone numbers and email addresses. A top official of the Nigeria Football Federation (NFF), has threatened to expose Samson Siasia, if he continues to castigate the football house. Siasia, who recently won bronze with Nigeria’s U-23 team at the 2016 Olympics, has said he is “done” working for Nigeria. The coach revealed he has not been contacted by any staff of the Sports Ministry or Nigeria Football Federation (NFF), since he arrived from the Games. “My next step is that I am done with Nigeria for now,” Siasia told Vanguard. “You can’t keep going to a place where they don’t appreciate you. It does not worth it. Sometimes it is not about the money but the approach. “They seem not to appreciate the sacrifices. I know how much I have sacrificed since the team began camping two years ago. How can you keep going to people who don’t appreciate you? In response, the unnamed official told OwnGoalNigeria.com: “We have endured Siasia’s excesses, he knows we have our own side of the story he is telling to the press. He shouldn’t forget that our recent spate of failure to qualify for the Africa Cup of Nations was started by him. “He is an ingrate, we gave him the chance to relaunch himself with the U-23s but he showed us he is still the same person, we know how some players were selected both for the Super Eagles in the two games he handled and also for the U23s, he should just keep shut. “We have facts to show he was involved in some dealings that led to our failures at tournaments; as a matter of fact, go and ask any board member, we received more petitions about Siasia than any other coach, he knows it. If you practice the 5 A’s you will be a more charming person and improve your people skills almost immediately. See you at the Top! Things like precious stones like gold and silver, or even brass and copper were used as currency for a time. During the early times of the United States, beautiful seashells were also considered to be what is called a“store of value”.